It has been a long time since I posted on the blog but that is because Wildewood has been very busy. Not only as a band but individually as well. Most of this hustle and bustle comes from the music side of things, which is great news. To have so much collaborating and performing and planning is a blessing. 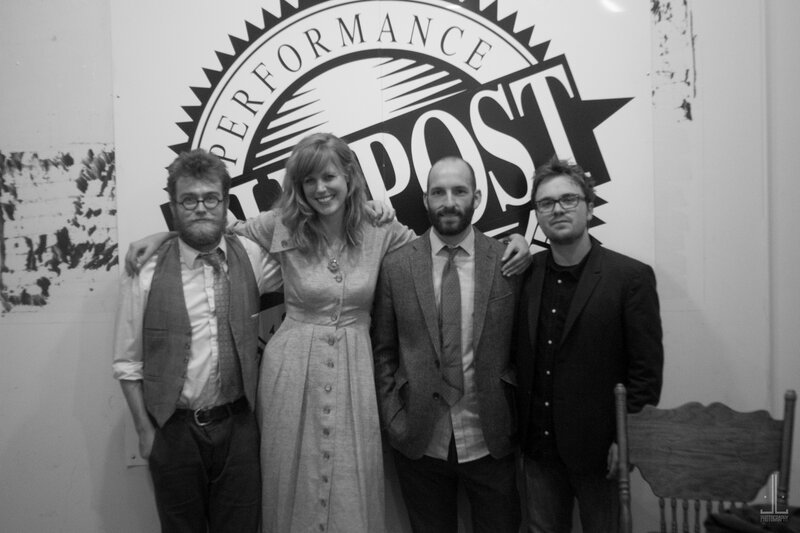 In October we played our first show at Albuquerque’s Oupost with Le Chat Lunatique covering Cole Porter’s music. The time and energy we put into learning his music was challenging but ultimately we benefited greatly from stretching ourselves out of the normal writing, covering, and gigging that we have done for the past four years. We have a handful of gigs for the rest of the fall and winter but until 2015, we are dedicating our rehearsals to fine-tuning a handful of Eric Johnson’s songs to record and EP of his music. He was a great local songwriter in the bands Big Sad Guy and Rivet Gang. Check out The Handsome Family and Pawn Drive to hear what the musicians he played with are doing now. Thank you so much for reading this blog, coming to shows, and loving music as much as we do. p.s. We are lucky enough to have some tour dates lined up in April and May for another round of opening for The Handsome Family! Any support and encouragement in the months to come will be put toward our tour plans.